The Club’s next general membership meeting will be held on Sat., Nov. 4 in the Winn Room of the Coronado Public Library. The meeting will begin with coffee and light snacks at 10:30 am; the business portion will be called to order at 11:00 am. 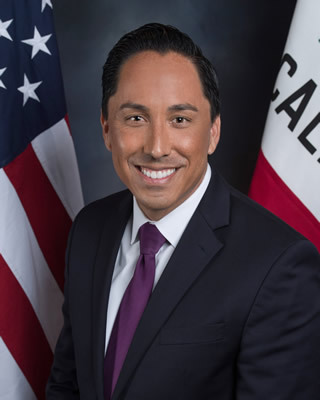 Our program for November will feature our Assembly member, Todd Gloria. He will discuss the Legislature’s accomplishments for 2017 and his agenda for 2018. The presentation will include time for questions and answers. Also scheduled to appear is Matt Brower, who is challenging censured Judge Gary Kreep for Superior Court. He will introduce himself and seek our endorsement. We look forward to a most interesting program, and to recognizing the important work that our representatives in Sacramento do every day to advance the interests of all Californians. Our General Membership Meeting will be held on Saturday, September 17 in the Winn Room of the Coronado Library, 640 Orange Avenue, Coronado. Coffee and light snacks will be served beginning at 10:30 am, and our program begins promptly at 11:00. Democratic Party-nominated and/or endorsed candidates for office (or, if unavailable, their senior aides) representing Coronado, will address the membership and be available to answer questions. We’ll also have some exciting opportunities to get involved in their campaigns for a Get Out the Vote (GOTV) drive. Don’t miss this exciting meeting! Encourage your family, friends and neighbors to attend and get involved in this year’s campaign. While a Clinton victory in California is expected, we have a close race in the 52nd Congressional District. Our next President needs a Democratic Congress to move forward our Party’s progressive vision. Let’s make it happen!